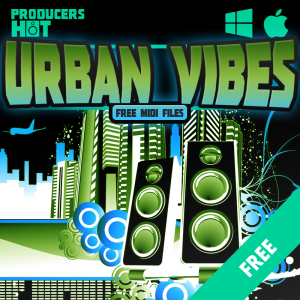 ProducersHot have announced the release ofUrban Vibes, a free collection of 66 MIDI files aimed at urban music productions such as hip hop, pop dance, orchestral pop, RnB, etc. The arrangements were recorded live at 90 BPM, but they can be used in projects between 80 and 100 BPM without altering the original idea. The general “moods” of these MIDI loops are optimistic, sad and epic, making them useful in urban orchestral and emotive compositions. Urban Vibes contains basses, brasses, chords, leads, pianos, strings, various melodies & leads and more. MIDI arrangements are 100% royalty free.